Reel Spinner is a 5 reel, 15 payline slot game powered by Microgaming. Playable from 15c to $11.25 per spin, this fishing themed game can be played on the desktop, mobile and tablet devices. In the first stage of this game, there’s up to 20 free spins to be won. In the second stage, you spin the fishing reel to reveal the multiplier which will determine your win which can be as high as 5x. If you like the Aristocrat pokies machine called Let’s Go Fish’n then you should like this free poker machine below. The game is based on a fishing theme where players feel the rush of open water wins. With regard to appearance, it features bright and colourful graphics, compasses, boats, fishing reels and symbols on the reels that resemble deep sea fishing. The game is set against a deep-sea background. If you look at its background closely, you can see the water moving. Reel Spinner is one of the most straightforward video slots for newbies and seasoned pokies punters. As stated earlier, it is a 5 reel, 3 row game with 15 fixed paylines. Your main worry here is about the size of the coin as well as the quality of coins to bet per spin. If you want to customize your bet, you can do it by just clicking on the button located on the bottom of the reels. Here, you will need to use the minus and plus symbol to decrease or increase the size of your bet. Once you are ready, proceed by hitting the spin button. You can also click on the auto-play feature to let your device spin on your behalf. • Wild Symbol: This is the logo of this video slot which can substitute for all other symbols except the scatter symbol. • Scatter & Free Spins: The scatter in this game is the Swordfish silhouette. Three or more of these symbols triggers the free spins round. Immediately the free spin round starts, you can go to the screen to choose 6 boats which activate up to 20 free spins with a multiplier of between 2x to 5x. • Stacked wilds: After using all the free spins you received during free spins round, stacked wilds will be triggered. This can draw out more wins for you. You will be taken to the base game after exhausting all the free spins. Betting range in this slot game begins from 1c, 2c and 5c coins. 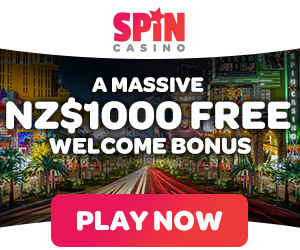 You can also select a betting size of 15c to $11.25 per spin. The highlight of this game is the free spin feature because it gives you a better chance of winning big. In fact, the maximum prize you can win in this video slot is the jackpot which is worth 112,500 coins. Reel Spinner fits the bill if you are looking for a good quality pokie powered by Microgaming. You can expect to get 20 spins with a multiplier of 5x. Since you could trigger the round several times, you could get better results next time if you fail to get the maximum in the first rounds. Google + Profile: Tina Lim on August 18, 2016. on December 5, 2016.